The Chinese People’s Liberation Army Navy (PLAN) and navies from 10 Asean member states carried out a field-training exercise in the South China Sea (SCS) between October 22 and 28 2018. The joint naval manoeuvre followed a joint Asean–China table-top exercise in Singapore on August 2. 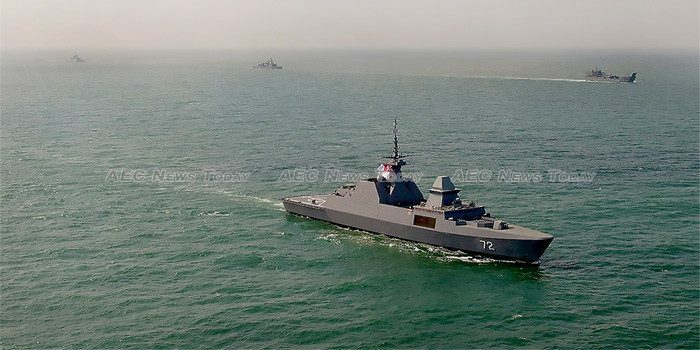 Together these drills mark the inaugural Asean-China maritime exercise — the first time such exercises have been conducted between Asean and another country. Eight ships, three helicopters and more than 1200 personnel from China and Asean countries participated in exercise in the waters near the major Chinese port of Zhanjiang. The PLAN dispatched a guided missile destroyer, guided missile frigate, and supply ship. 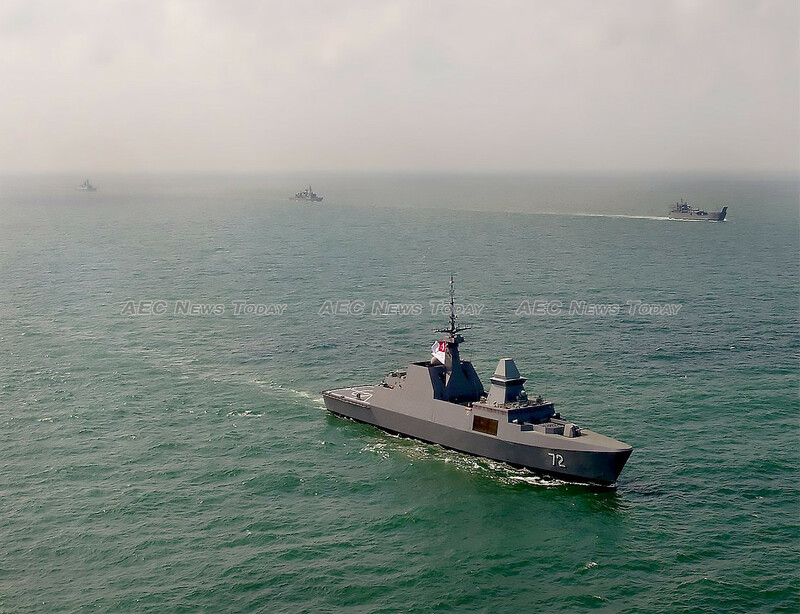 Asean nations sent three guided missile frigates from Singapore, Thailand, and Vietnam, a patrol ship from Brunei and a logistic support vessel from the Philippines. The vessels carried out maritime tasks in line with the Code for Unplanned Encounters at Sea, and undertook joint search and rescue activities. 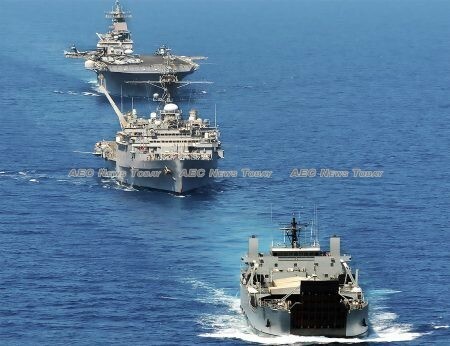 China’s Ministry of Foreign Affairs touted the inaugural Asean-China maritime exercise as a ‘new level of China-Asean strategic coordination and a new starting point for China and Asean countries to jointly address security threats and uphold regional peace and stability’. The Ministry added that China is willing to elevate China-Asean relations to a new height. 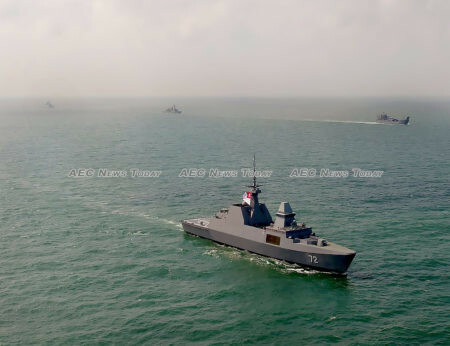 And according to a hyperbolised statement in the Global Times, the maritime exercise ‘signals that Beijing and the Southeast Asian bloc have upgraded military and defence ties, taking substantial steps in safeguarding security in the South China Sea’. The big question now is what China will do next. Beijing may leverage the nascent exercise to gradually establish its own version of the world’s largest multilateral naval exercise, the biennial Rim of the Pacific (RIMPAC) — perchance a Rim of China (RIMCHN). A development of this kind would save face for China after being disinvited from RIMPAC last May. It would also advance the security component of China’s ambitious Belt and Road Initiative and ‘Chinese Dream’ campaign to displace the extant Western-oriented world order. The timing, scope and nature of a possible recurring, China-led multilateral maritime exercise may depend on how Asean, the rest of the Indo-Pacific region and the world respond to the inaugural Asean-China maritime exercise. If favourably, Beijing may accelerate its plan to establish the exercise. If unfavourably, Beijing may bide its time for an opportune opening and then set the conditions to do so. For now, Beijing may start small, perhaps with joint Asean–China maritime patrols in the South China Sea. It can then incrementally build up to an annual or biennial maritime exercise that eventually rivals RIMPAC. But sooner or later, China will likely establish RIMCHN because it aligns with Beijing’s other lines of operation regarding the South China Sea. RIMCHN complements China’s ongoing efforts to shape and influence the much-promised and anticipated South China Sea Code of Conduct (CoC). Beijing continues to manipulate the draft code through language that excludes non-Asean states from the South China Sea, regulates military activities in the South China Sea, and gives Beijing the authority to veto military exercises between Asean members and foreign powers from outside the region. Most recently, Beijing suggested that China and the 10 Asean states should carry out joint military exercises regularly. RIMCHN supplements Beijing’s wide-ranging efforts to dominate the strategic waterway. China is increasing its administrative control through further expansion and militarisation of its seven military outposts in the Spratly Islands, with possible plans to establish more military outposts at Scarborough Shoal, James Shoal, Vanguard Bank and Macclesfield Bank. Beijing also intends to permanently station a search and rescue vessel at Subi Reef and is considering introducing floating nuclear power plants. The launch of a constellation of satellites to monitor — and potentially control — commercial shipping will further increase Chinese dominance in the South China Sea. RIMCHN also supports Beijing’s possible future ambition to displace the Shangri-La Dialogue (SLD) with the recently revamped Xiangshan Forum. The regional forum is widely regarded in Beijing as an increasingly viable and desirable counter to the SLD. From Beijing’s perspective, Washington and its allies use the SLD as a forum to unfairly criticise and contain China. Beijing may see some value in participating and accepting criticism in established multilateral forums as an outgrowth and accepted cost of its rise as a global power. That said, Beijing may one day conclude that the juice may not be worth the squeeze. Why bother with the seemingly biased and fading SLD when it can focus instead on expanding an alternative Chinese forum? The one wildcard in this scenario is the United States. One of Beijing’s worst nightmares may be for the United States to hold the next RIMPAC in the South China Sea. Doing so would push back against China’s unilateral expansionism in the strategic waterway, reinforce the legal standing of the 2016 International Arbitral Tribunal ruling that invalidated Beijing’s nine-dash line claims, and underscore the universal importance of the rule of law and compliance with global norms. This bold trifecta of effects would demonstrate that the United States and like-minded nations are willing to stand up for their national interests and shared values — but it may also accelerate Beijing’s ambition to beat Washington to the punch. Ed: The location of previous Rimpac exercises have typically been announced publicly about one month prior to their commencement. This article was written by Tuan N Pham, Yokosuka, who is widely published in national security affairs. It first appeared on the East Asia Forum under a Creative Commons License and is reproduced here with its permission.